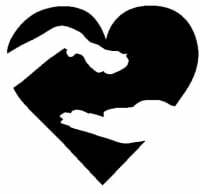 Man and Beast was started out of love by Sabine Weber, MS, RDN, CDN, CFSP, Integrative and Functional Nutritionist. Sabine has been practicing nutrition for over 25 years and sees clients at her private office Adirondack Nutrition Consulting at the same location as Man and Beast. Sabine also has been loving animals for her entire life. She has applyed her knowledge in nutrition to her own pets and now has decided to offer a service where people can find quality pet food, supplements for people and pets, wellness resources and much more. That is how the Tag Nutrition Meets Passion came from, Sabine is sharing her passion with you. I welcome you to my new store, Man & Beast, where nutrition meets passion. I call this my little shop of love because I am sharing with you what I love. Let me give you the background of my store. I know that deep in heart my connection to animals was the one truth I could never change. 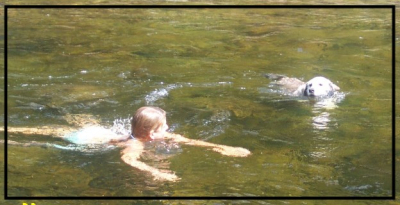 Ever since I was a little girl animals were always drawn to me and me to them. They slept with me, played with me, and followed me to school. There was an unconditional love, loyalty and friendship. After spending 25 years plus in the field of nutrition and expanding my scope of practice to include more than nutrition counseling but a Whole-Self approach, I decided to make a change and open Man and Beast. Owning my own business just feels right to me because I grew up in the hospitality business in Lake Placid. My parents owned a small motel and best friend's family across the street ran an Italian Restaurant, so we peeled a lot of garlic and made a lot of beds. After college and spending many years working in Medical Centers and managing operations in many diverse settings, I moved back to Lake Placid opened my private practice and worked in facilities throughout the Adirondacks. I decided to open the local health food store in Lake Placid in combination with my private practice in 2003 but sold it 5 years later because I knew something was missing. I then spent years working on continuing education and new trainings including Functional Medicine, Mind-Body Medicine, and completed my Certification as Food & Spirit PractitionerTM. I am passionate about having a place where you can find quality products, supplements and tools to maintain long-term health and want to share things I love with you. 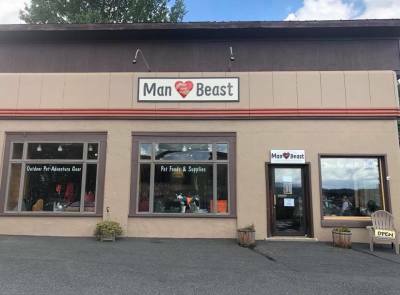 I opened Man and Beast in combination with my practice in order to provide people and pets with quality products. Not only quality pet products but products I love and use myself to stay healthy and nourished. My clients have had the privilege of being able to purchase my professional lines of supplements, wellness books, CDs and more from my wellness corner at my office, but these and much more will now be offered in a retail store for all to benefit from. 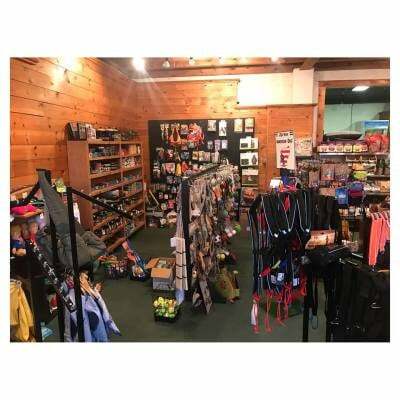 As you walk through the store you will find natural dog and cat food and treats, people and pet supplements, books, CDs, personal care products for people and pets and much more. I hope you enjoy what I have to offer as much as I love introducing you to it all. Thank you visiting my site and giving me the opportunity to tell you about Man and Beast!